A ship is safe in the harbor, but that’s not what ships are built for. Wednesday, May 20, 2015: Kit and I were very tempted to remain at the beautiful municipal campground in Boardman, Oregon for a few more days but also wanted to take advantage of a couple of factory tours that were only available at certain times of the week…..so we reluctantly pulled out at 0935 and headed east on I-84. We were really surprised by the large number of farms that exist this far to the north. Like in Maine, I’m guessing the growing season is short…..however it’s surely productive as the soil looked fertile and there is certainly plenty of water for irrigation. At 1030, we pulled off the interstate into the small town of Pendleton to tour its world famous woolen mill and blanket factory. The Pendleton name is synonymous with quality, made in America products. 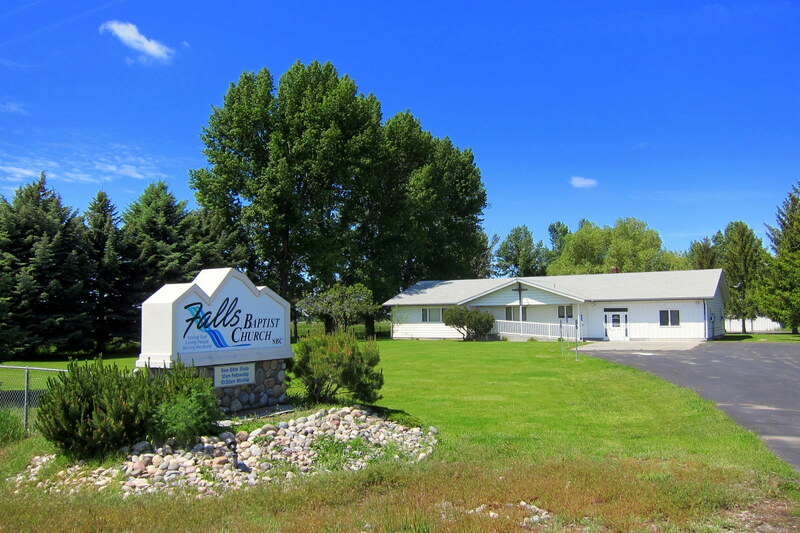 The founding family brought their expertise to America from England in the late 1880’s and settled in this area due to the extensive Sheep farms nearby and the convenient access to major rail lines. 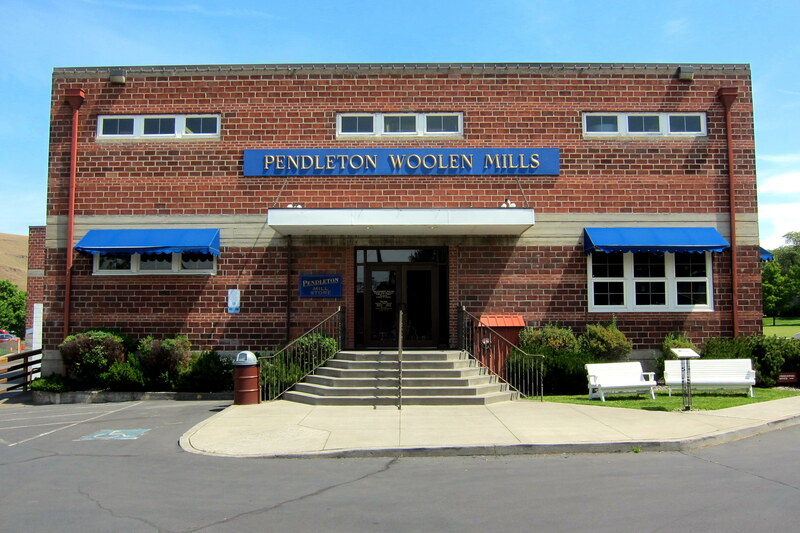 The name Pendleton Woolen Mills was adopted in 1909 due to the overwhelming support in the form of municipal bonds given its founders by this small northeastern Oregon town. 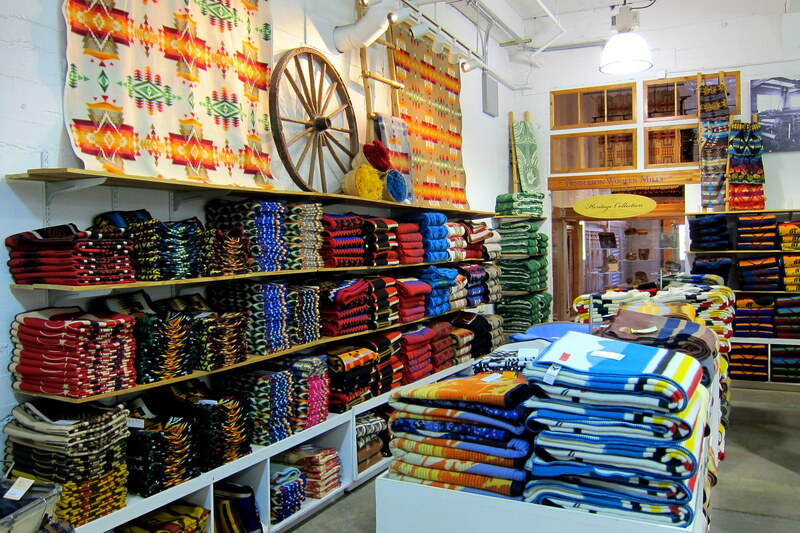 The factory store is full to the rafters with every product that Pendleton manufactures. 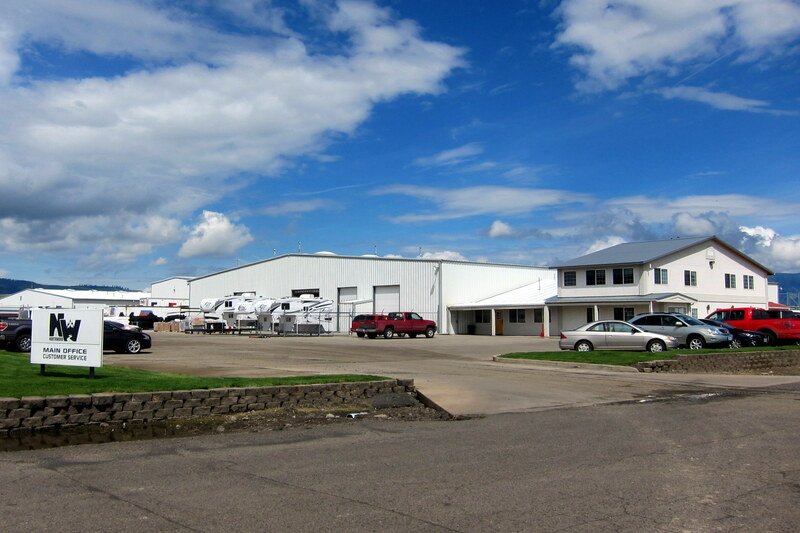 Including their apparel line, which is manufactured in the Washougal, Washington facility. Long a staple of loggers and other outdoor folks, Pendleton wool shirts were catapulted to fame in 1960 by of all things, a young California rock group. The band made up of brothers and other relatives selected the name of “The Pendletones” as they had adopted the classic woolen shirt as their trademark look. 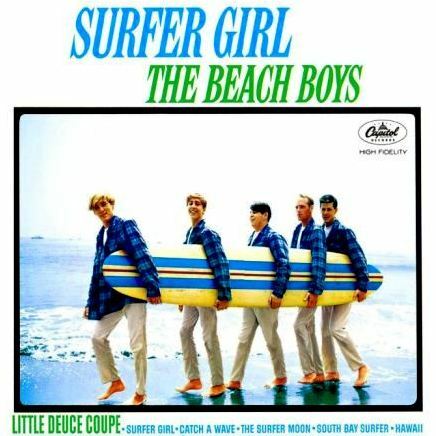 After their first big hit, they changed their name to “The Beach Boys” and created some of the best music of the era. As a young California surfer, I and my buddies all clamored for Pendleton shirts, which we wore year round…..even in summer! Yea I know, quite odd, but comfort had nothing to do with style back then, or actually…..never! The factory tour was one of the best presentations that Kit and I have enjoyed. The guide was personable, knowledgeable and enthusiastic about her company and its products. In order to hear her over the din of factory noise, she provided us with wireless headphone receivers. We were then led into the chaos and commotion of an American factory at full operation. 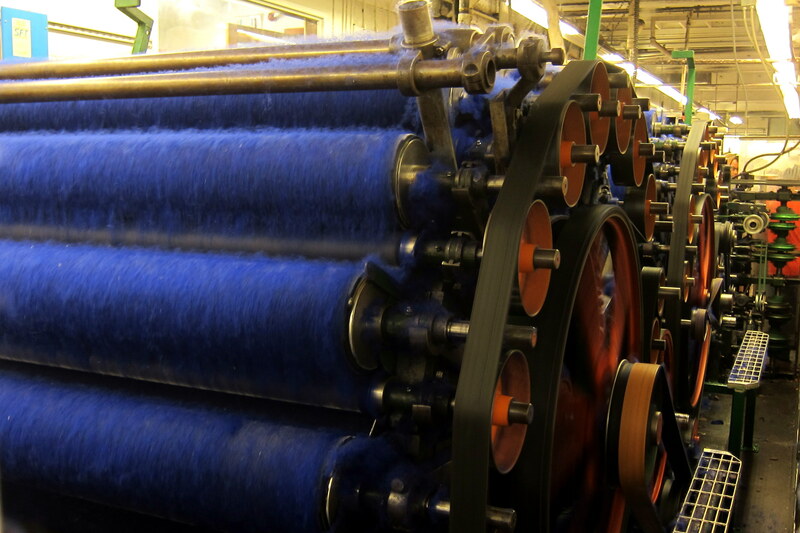 The first stop was the Carding Machines, where the dyed wool is prepared for spinning into yarn. 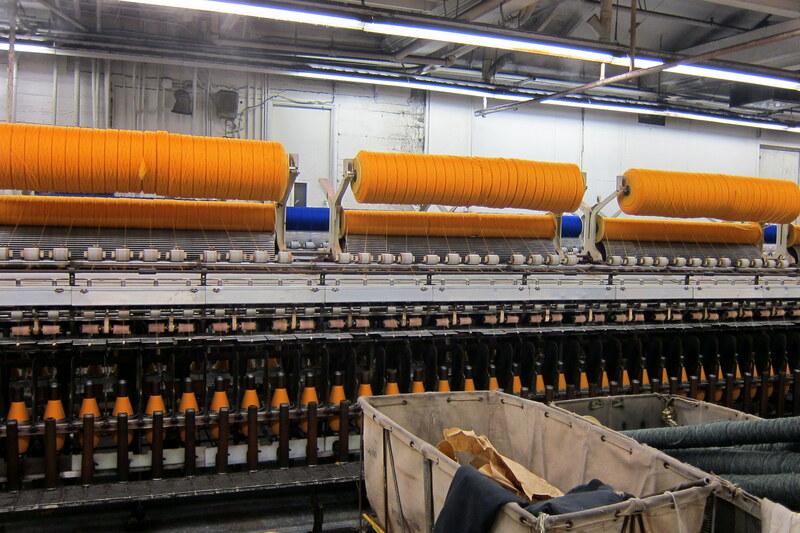 Next was the high capacity spinning machines that spun the wool into yarn. 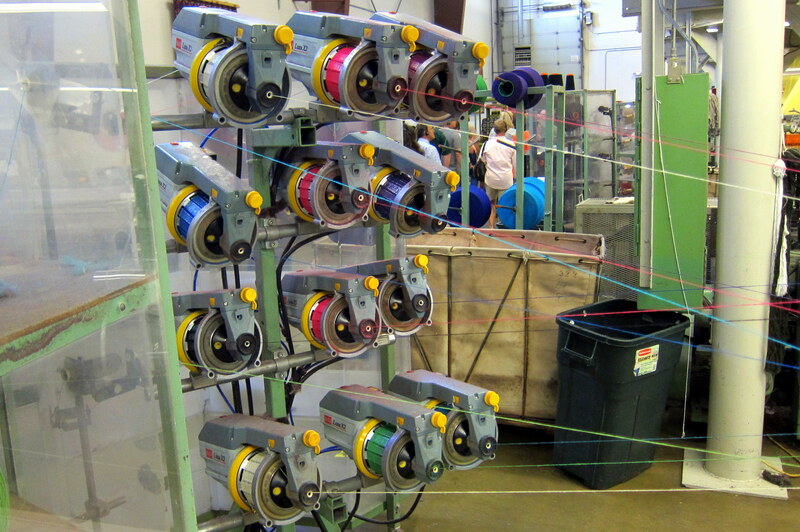 Then the colorful wool yarn was wound on bobbins, sorted and made ready for the actual weaving process. The proper bobbins were then loaded into feeders. Which delivered the yarn to the massive computer controlled weaving machines. The final step is hand checking the results for any quality defects. 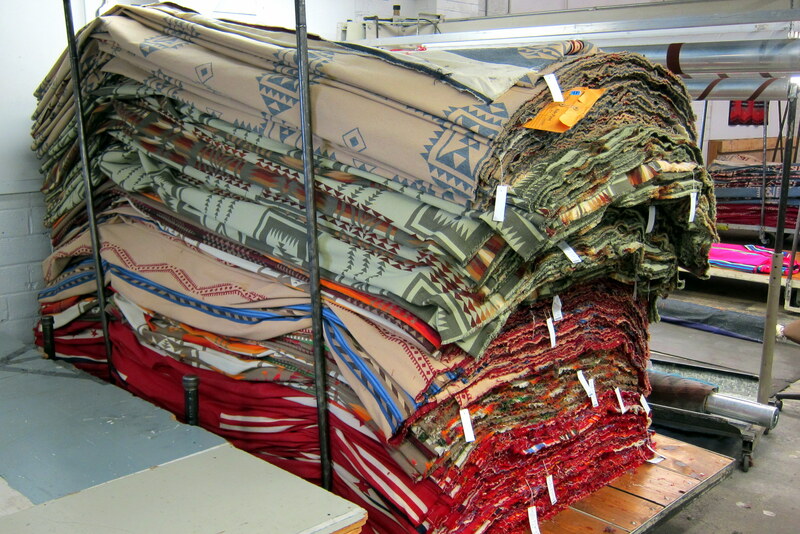 Before stacking the wool fabric on pallets to be sent to the apparel factory, or to the in-house blanket finishing department where they are sewn or fringed. Kit and I enjoyed the tour of this iconic American industry and before leaving, selected a few items from the store as souvenirs. Keeping up with the global economy, apparently Pendleton Woolen Mills makes Burka’s! Who knew?!?! Since it was after noon time, Kit decided it was time for some lunch. 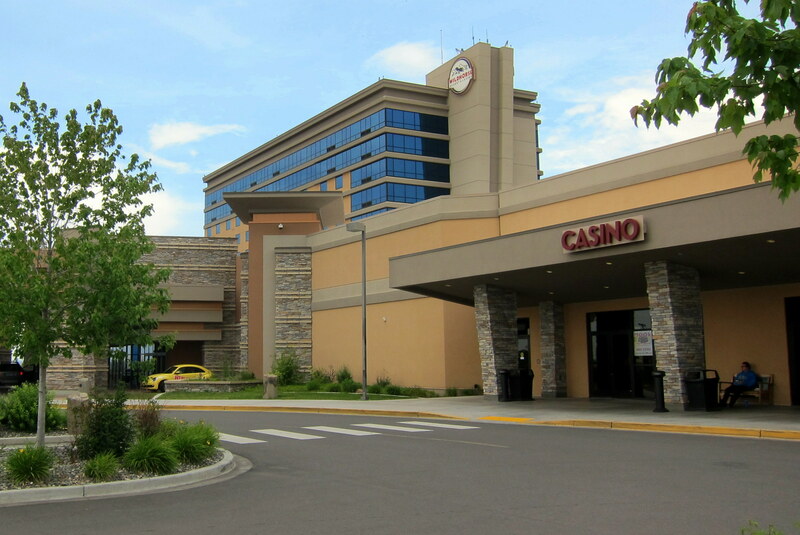 So on recommendations of the nice ladies in the Pendleton Factory Outlet, we made our way to the Wild Horse Casino located on the Umatilla Indian Reservation just a short distance away. This laid back facility had a huge parking lot and a number of places to eat. We choose the Wild Horse Tavern where I ordered the Wapiti Burger which was artfully made from ground Elk meat. 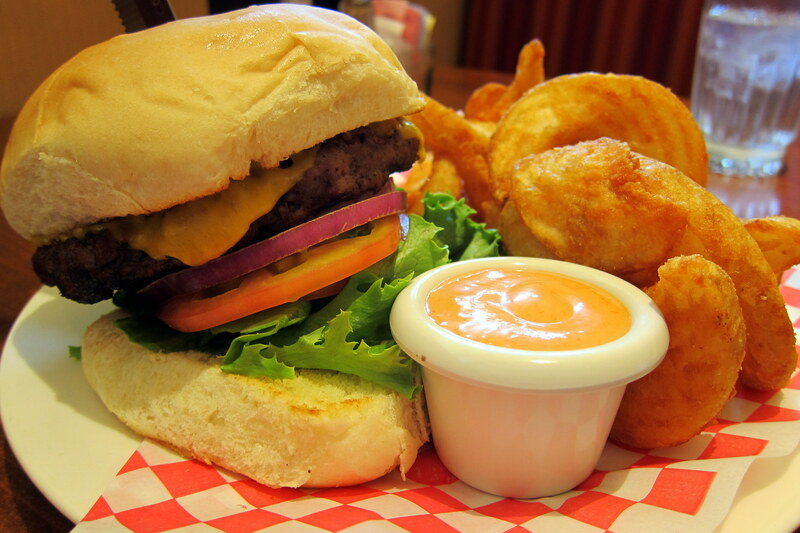 The burger was incredible, and those fried potatoes were equally as good after dipping in their signature Mojo Sauce…..the Pendleton Store ladies were right, what a great place to eat! 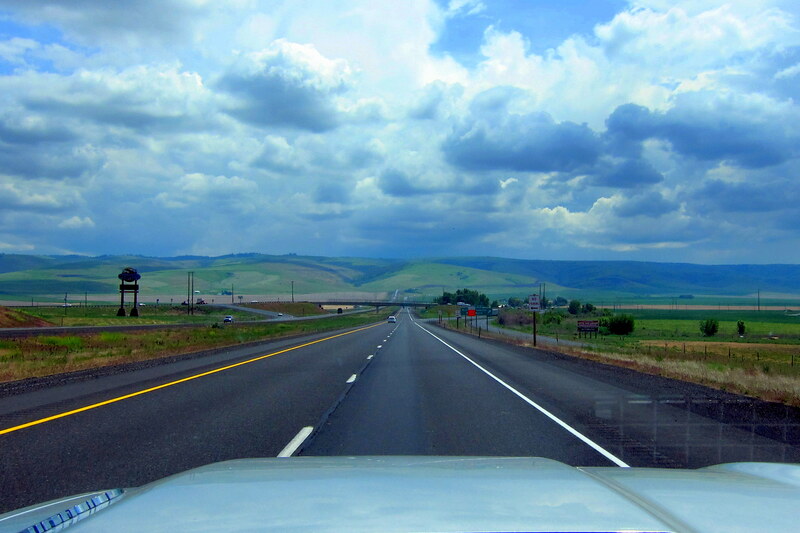 With full bellies, Kit and I were back on I-84 and heading easterly. 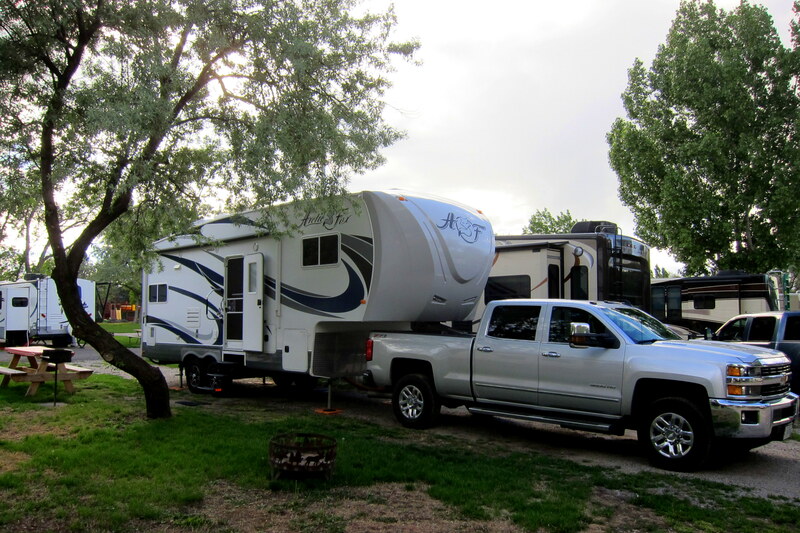 Sorely needing to do laundry, fill water tanks and dump waste tanks, we pulled into La Grande and stopped at a commercial campground for the evening. 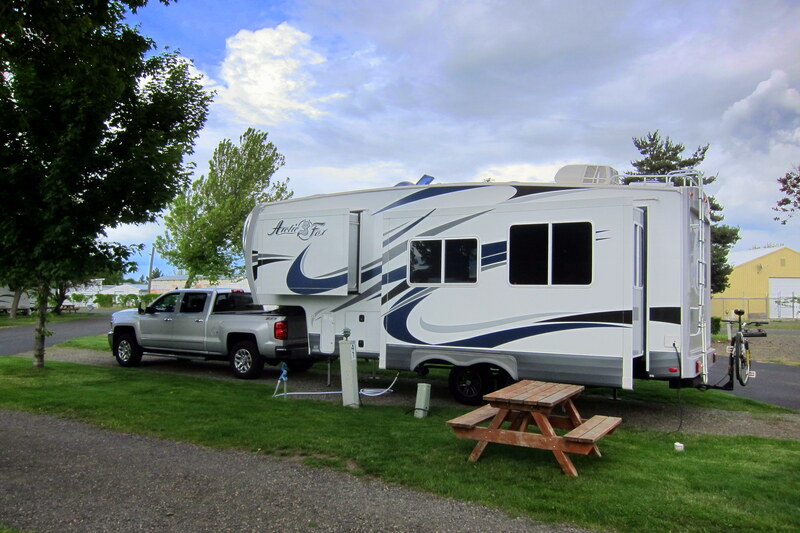 Nothing fancy but The Rendezvous RV Park was adequate and, more importantly, was near our next tour opportunity, Northwood Manufacturing…..the parent company of our trailer! 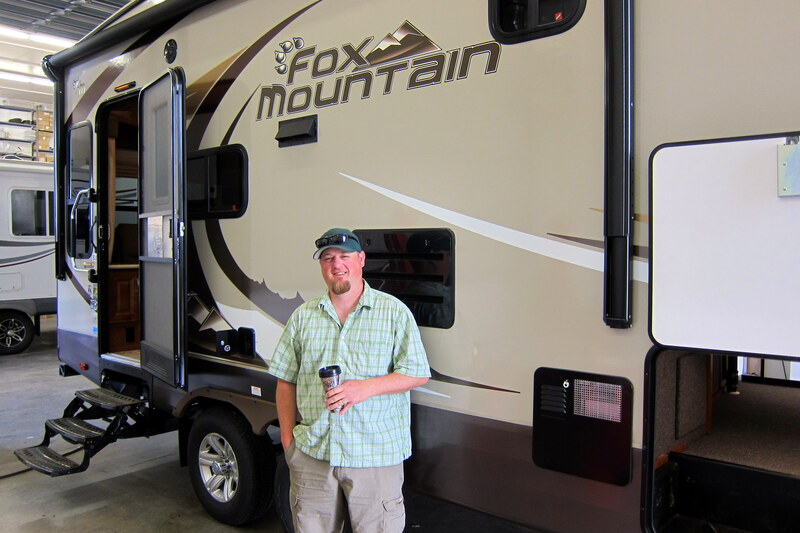 Thursday, May 21, 2015: Up, broke camp, and drove a short distance to the Northwood Manufacturing facility…..the home of Arctic Fox, Fox Mountain, Snow River, Wolf Creek, Desert Fox, and Nash RV’s. The company was founded back in 1983 by Ron Nash, an Oregon native and avid outdoorsman. Ron couldn’t find campers that would standup to the rigors of backcountry hunting and fishing so he decided to build one himself. He contracted to have a heavy duty chassis welded up and fitted the homemade camper with high capacity axels with heavy duty springs and shock absorbers, thermo-pane windows and thick insulation. Soon, his buddies wanted a similar camper and a business opportunity developed. 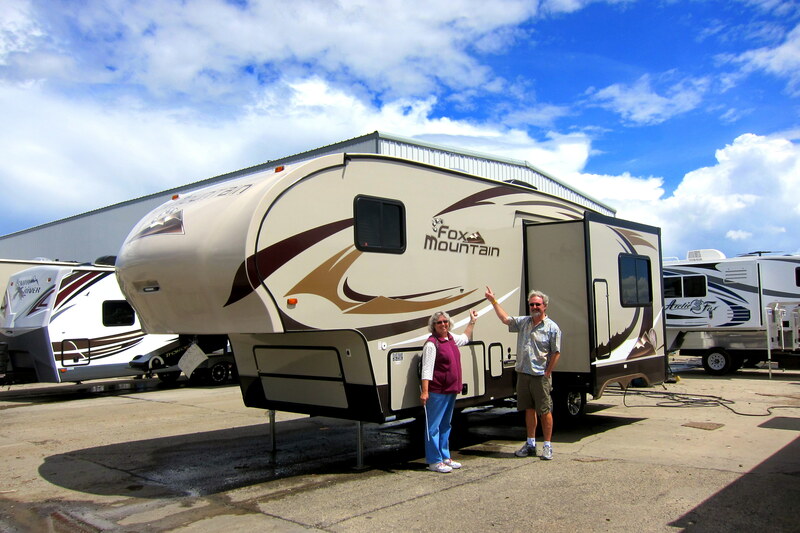 Today, as one of the first true off road four season RV’s, Northwood products are recognized in the industry as solidly built recreational vehicles. Colby, our tour guide, spent almost two hours with us explaining the manufacturing process that makes Northwood one of the best campers built today. Unusual in the industry, Northwood still makes their own chassis to ensure they will withstand the punishment that owners are likely to inflict on them. Much of the remaining structure is made of lightweight thick wall aluminum to offset the added weight of the robust steel chassis it will sit on. 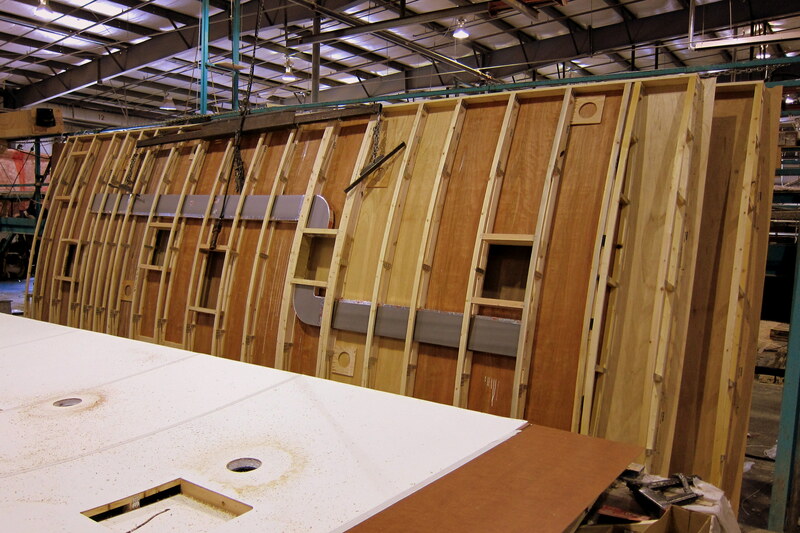 The interior and exterior walls are bonded to an insulating core of top quality poly foam. 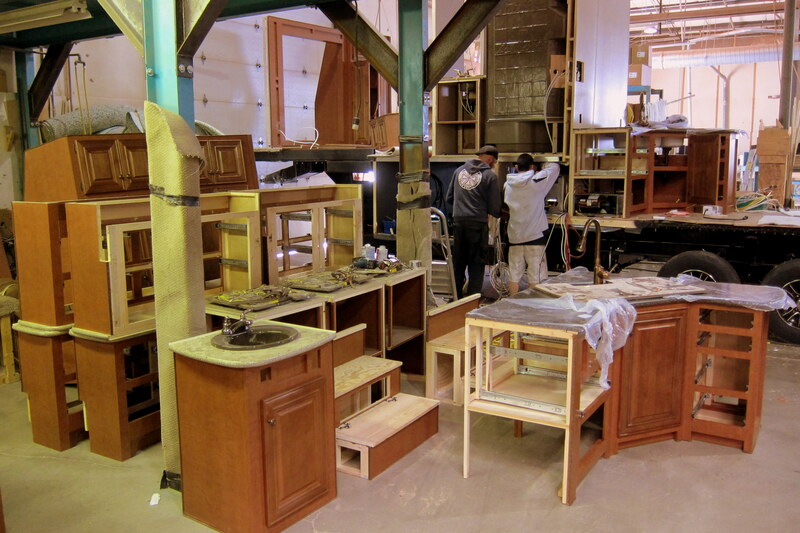 Solid wood cabinetry is built using furniture grade woodworking methods and finished with sprayed on lacquer. The fully trussed roof is crowned to enhance looks as well as durability, and is certified to support walking on for cleaning or maintenance. 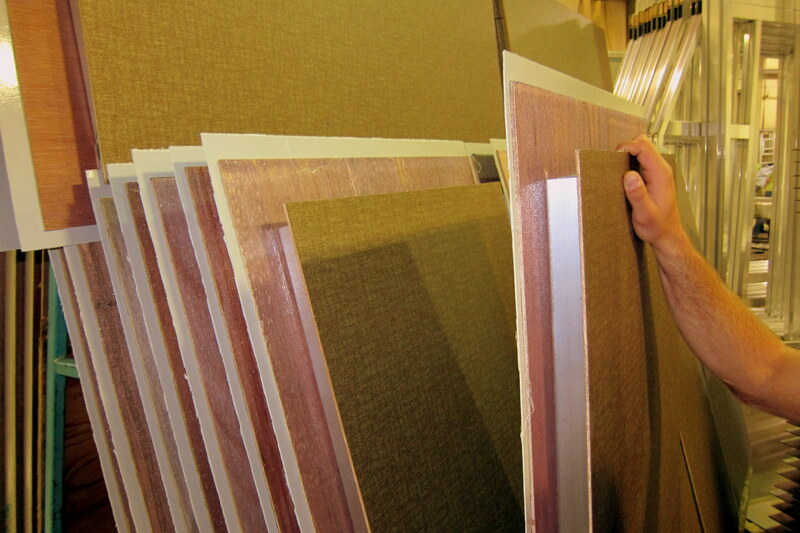 Thick mat insulation is used in the floor and roof to ensure the unit will remain warm in the coldest temperatures. 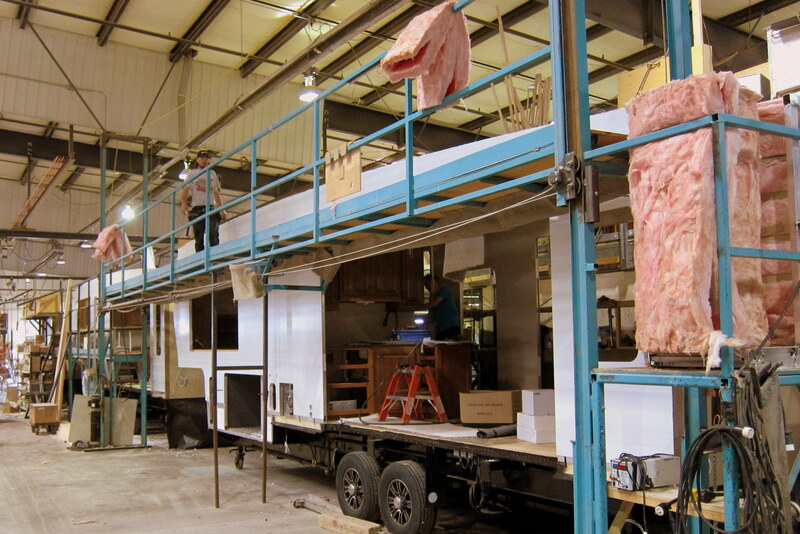 As the unit nears completion, the slides, lighting and other components are installed by the highly experienced staff. 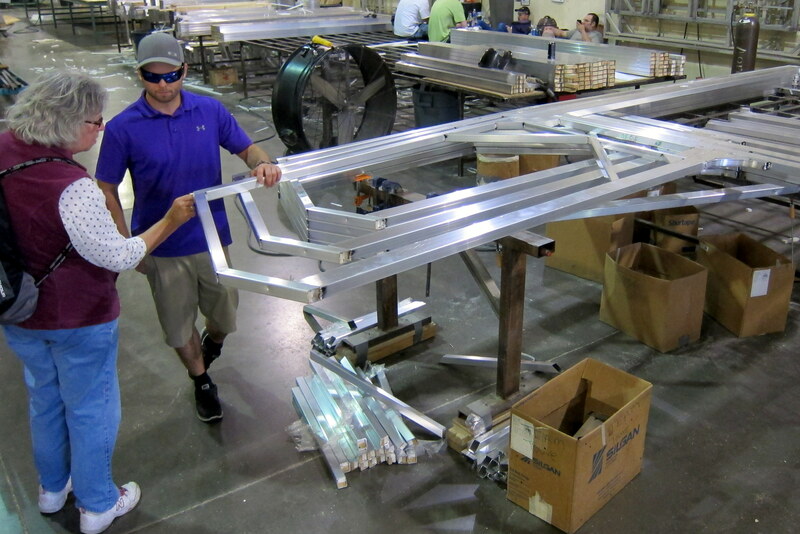 When complete, every unit undergoes extensive testing of all systems and a through quality assurance process. Well, not by those two knuckleheads shown above…..however Northwood does rely on customer feedback on issues of quality or suggestions on how to enhance their products. 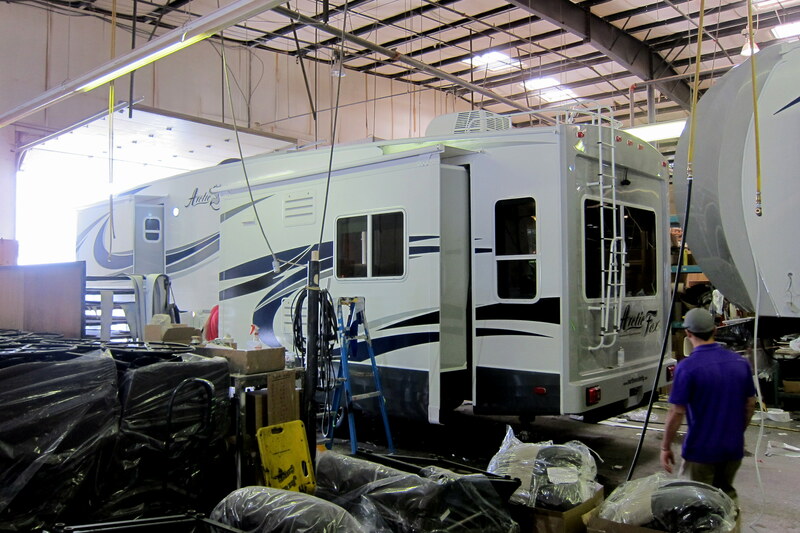 Our eight years’ experience with the Northwood brand of RV’s has convinced us that they are the best value for the money…..nothing fancy, but extremely rugged and well built. Thanks Colby, for a great tour! 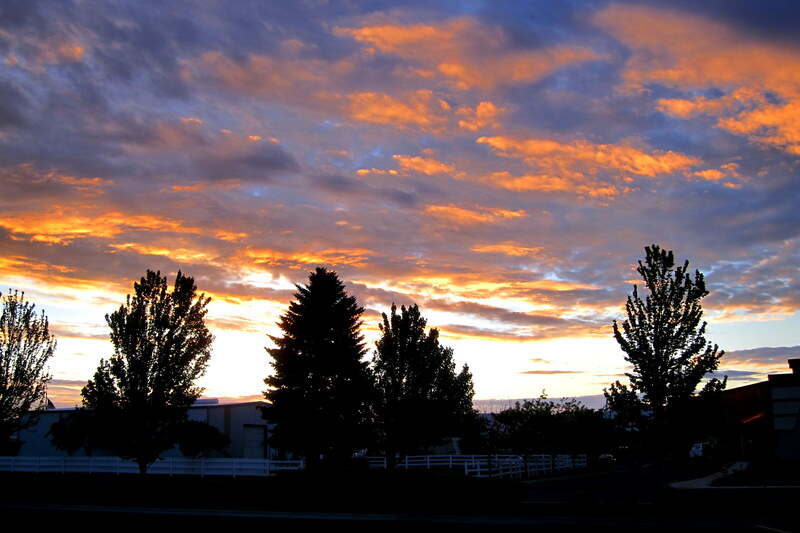 Well, it’s getting late so we decided to stay another night in La Grande. 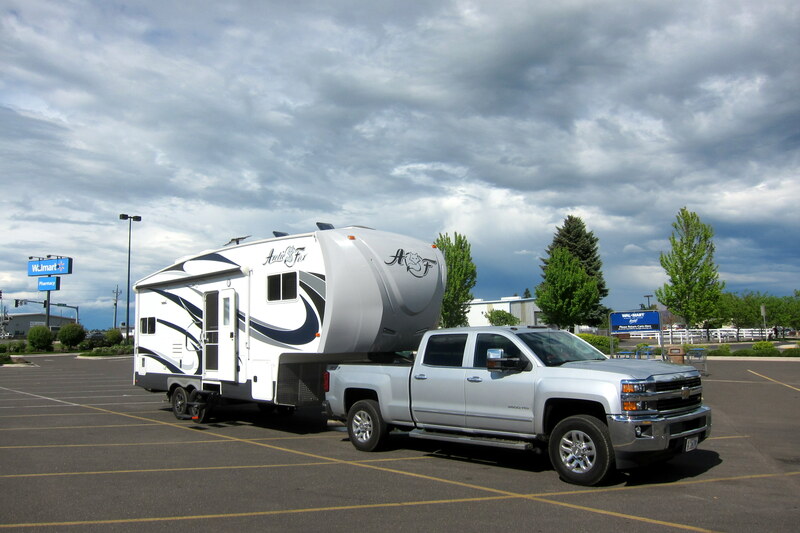 Rather than return to the campground we stayed at last night we found space at the local Wal*Mart…..which is conveniently located across the road from Thunder RV, a dealer featuring Northwood RV’s. Oh, that’s Caleb, one of the salesmen and the son-in-law of the owner…..and the brand new Fox Mountain belongs to my Bruzzin, Dewey and his bride Bea! Yep, they’re movin on up! Great rig and it should serve them very well for many years to come…..congratulations on the nice new adventure-mobile guys! Dewey and Bea are heading up from Tucson to take delivery in a month…..unfortunately we will be far to the east by then so will miss the event. 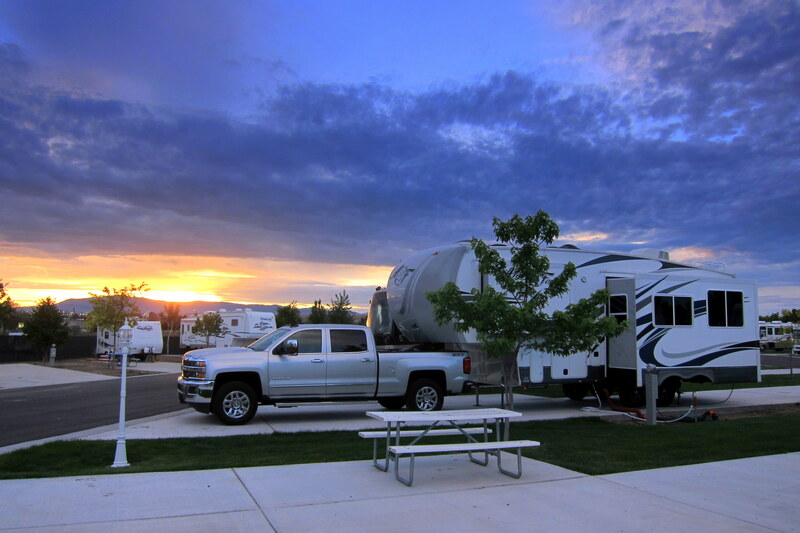 In talking to Caleb, he mentioned that his The Wal*Mart neighbor was extremely RV friendly and the level and well lit parking lot was ideal for an overnight stay…..in addition you can’t beat the price! Well unless you factor in the retail therapy that Kit indulged in, then we are $111.89 in the hole!?!? We ended the day with an adult beverage in hand as we watched the sun set over the tarmac. Friday, May 22, 2015: Woke to changes in da hood. Yep, we have neighbors! In my trek to The Wal*Mart for some breakfast sandwiches and fresh baked pastries, I counted seven RV’rs that had pulled in for the night. Notice the fellow two doors down with the boat and trailer on top his truck! Not sure how that all works but I imagine the engineering that accommodates launching is pretty interesting! On the road at 0939 under partially sunny skies and a temperature of 64 degrees. Once again jumped on I-84 and continued east. 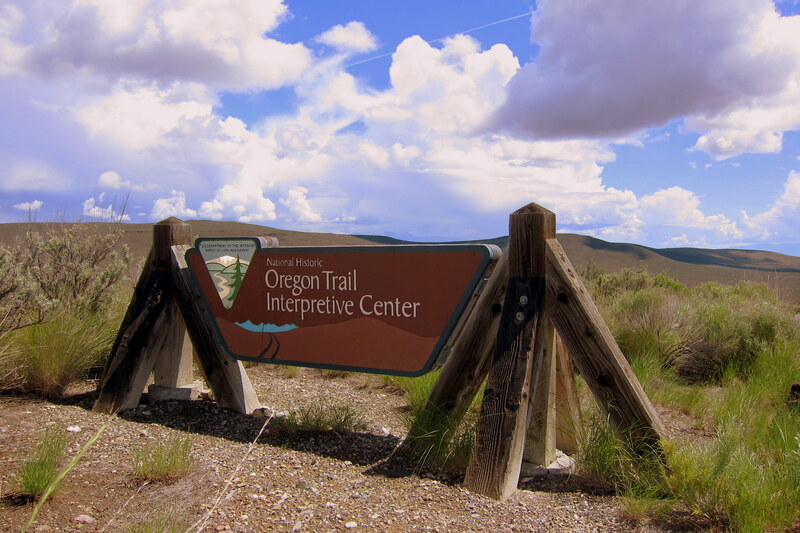 In a few hours, we came to signs indicating the Oregon Trail Interpretive Center was a short distance away. Since this National Historic Monument was praised as a must see by our friends John Roger and Karen we stopped by for a visit. In the modern and well-appointed visitor’s center, Kit and I watched a film depicting the trials and tribulations of pioneering folks that passed this way in the mid 1800’s. 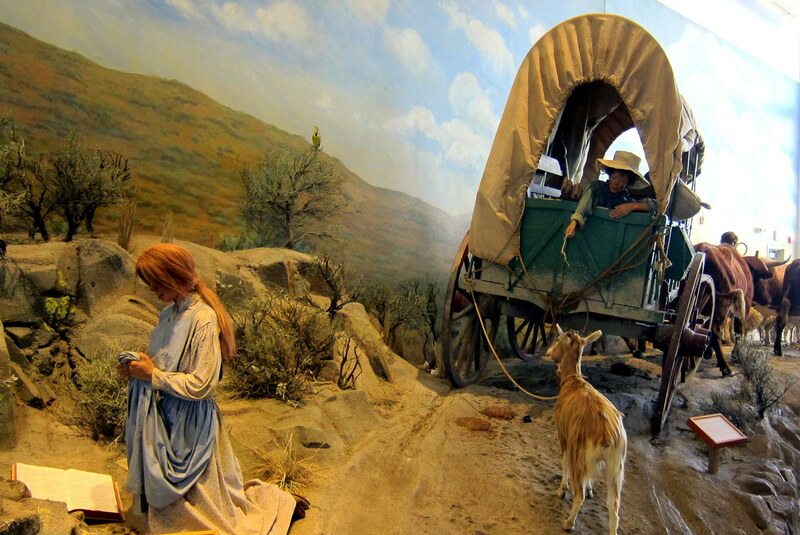 Leaving their homes back east for the promise of a better life in the wild and open west, pioneers had to navigate the rugged land while dealing with many obstacles. The 2,200 mile Oregon Trail supported the migration of 400,000 folks until rendered mostly obsolete by the advent of rail service. 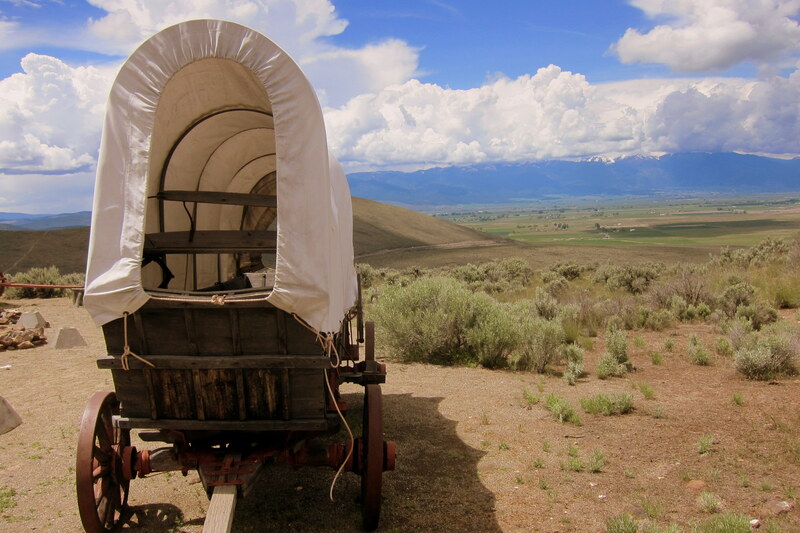 Folks that attempted the arduous trip in Covered Wagons may very well have been the first RV’rs…..however with more primitive conveyances and different motivations. These wagons, often called Prairie Schooners, traveled in massive Wagon Trains to facilitate mutual assistance and safety. Each evening the wagon master would circle the wagons in order to create a crude corral for the draft animals, and to enhance their protection from Indian attack. 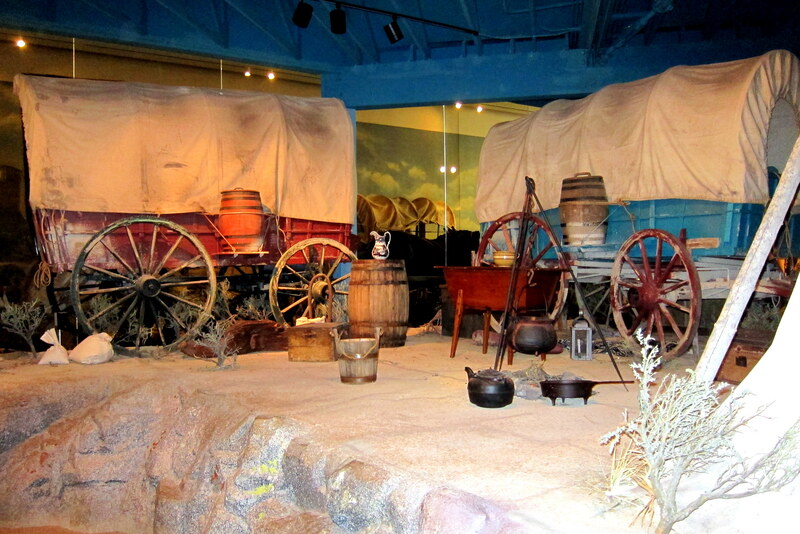 Displayed in front of the visitor’s center, is an authentic Covered Wagon from one of the final trips…..a true survivor! And beyond, one can see the valley these wagons traveled through during their trek westward…..there are many places in that valley where wagon ruts are still visible in the dried mud. 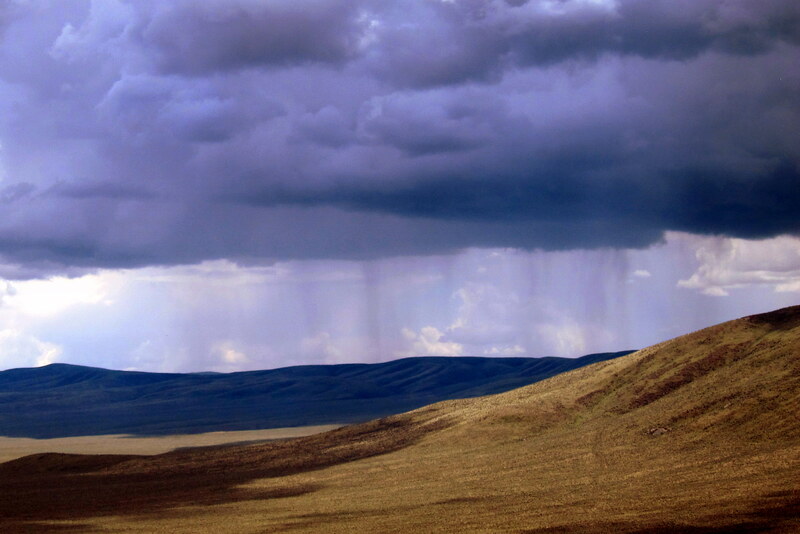 As we left the Oregon Trail Interpretative Center, it began to rain, which just further highlighted what these early pioneers had to deal with. 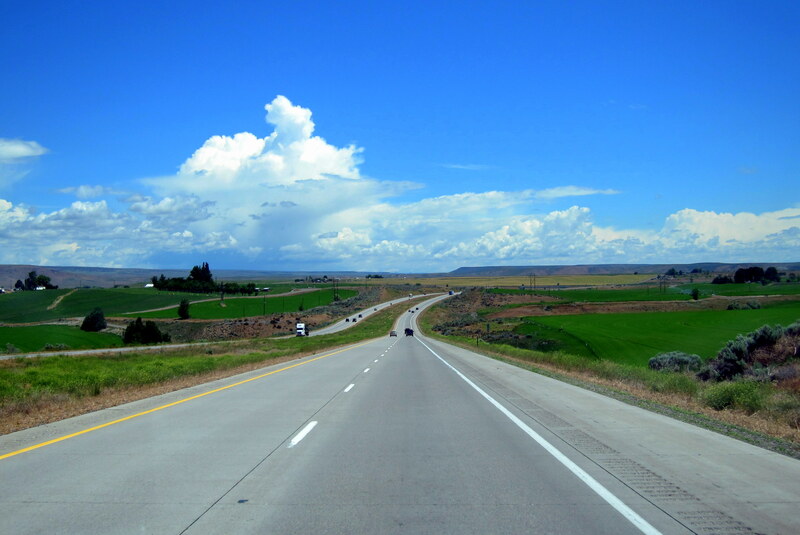 Back on I-84 we dropped further in elevation as we neared Idaho and the American Great Plains area. 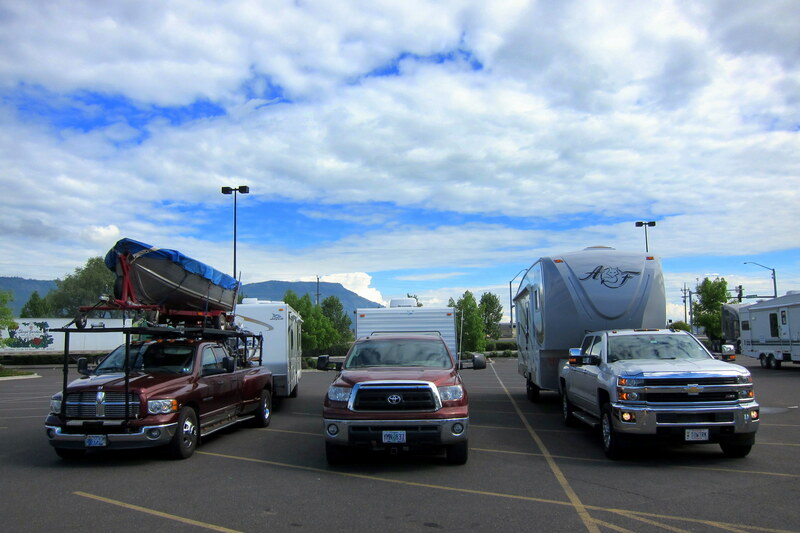 Crossing the border at 1546, we stopped at a RV Park in town of Mountain Home for the evening. 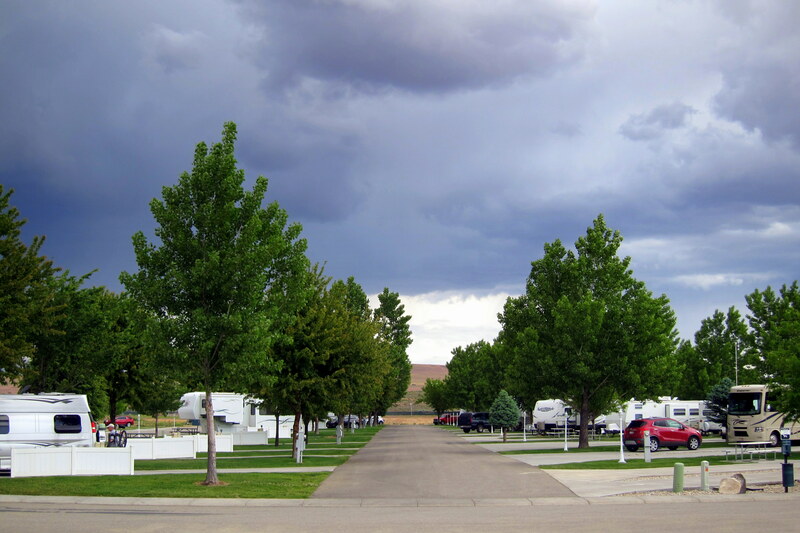 Saturday, May 23, 2015-Mountain Home, Idaho: Decided to take a down day in this very nice RV Park. The skies were darkening to the west showing that the storm we had outrun earlier in the day is catching up to us. Spent the day basically relaxing, getting caught up on some maintenance on the trailer and working on the journals or reading. Right on cue, by late morning a major thunderstorm came roaring through. Wind, rain, hail, lightening, and all damnation broke loose! 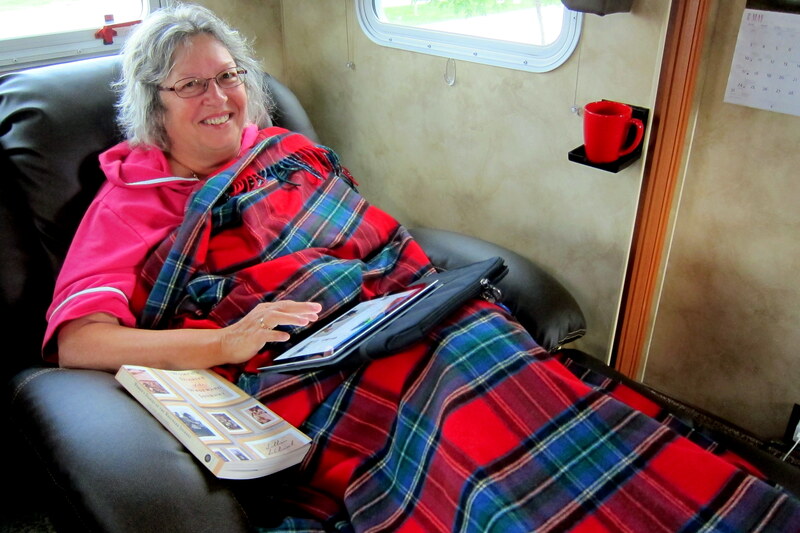 But we were snug, dry and content in our little camper as the storm whipped about! As the foul weather moved off to the east, the sun painted a nice portrait in the western sky as Kit and I settled in for the evening. 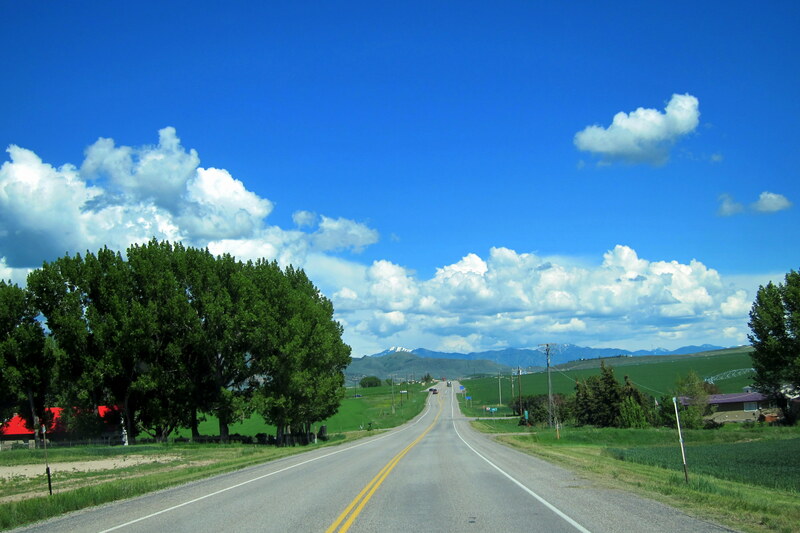 Sunday, May 24, 2015: Leaving Mountain Home, Idaho we discussed stopping at Craters of the Moon National Monument but decided to continue east instead…..that National Park will have to remain on our bucket list for a future trip. 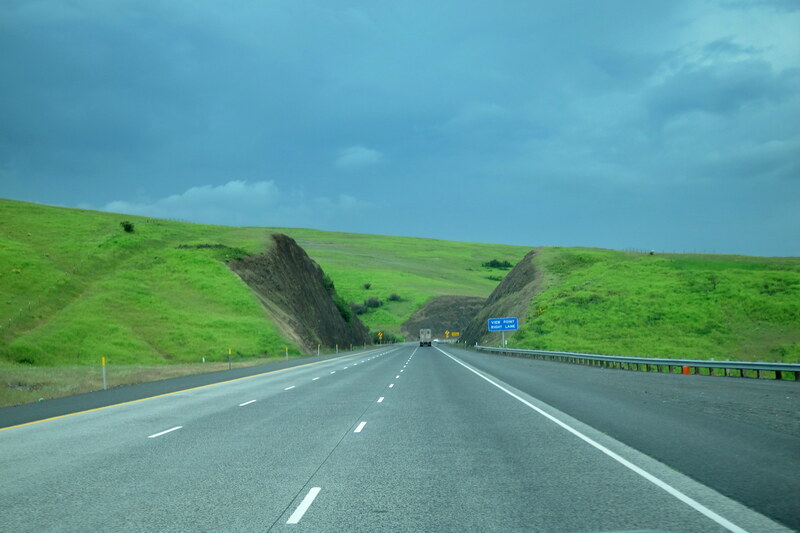 At midmorning we had rejoined our old friend Interstate 84 and continued our trek to the east. Leaving I-84, we jumped on US-30E toward Pocatello until connecting to I-15 which we took north. 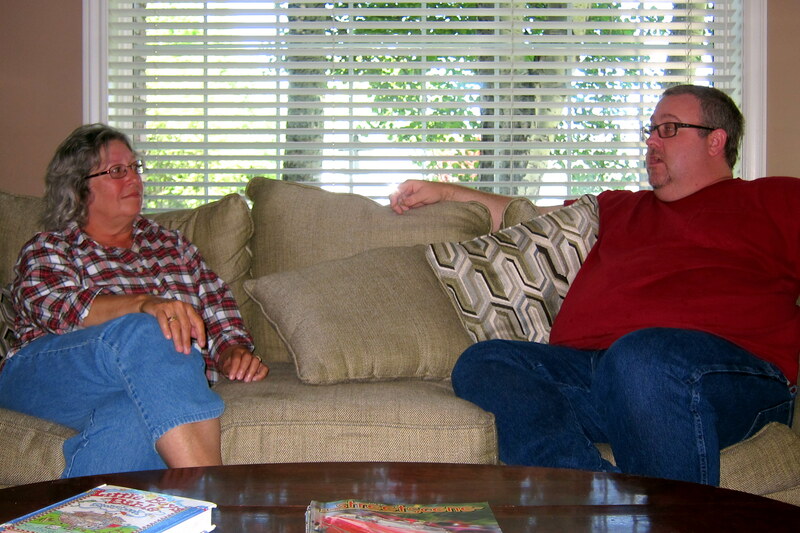 Monday, May 25, 2015: After a restful evening, Kit contacted the son of our childhood San Diego friend JoAnne to see if he and his family were available for a visit…..and fortunately they were! Pulling out of the RV Park we made a quick stop to view and photograph the falls that give this town of 58,000 folks its name. 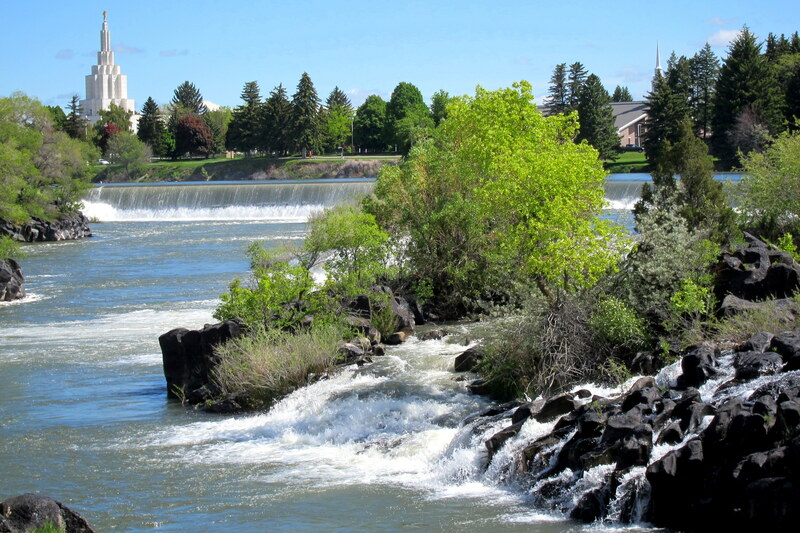 The falls are on the Snake River that bisects this quaint little eastern Idaho town. Chris and his family live a few miles outside of town in a nice rural area dotted with farms and ranches. Being the Senior Pastor at the Falls Baptist Church, he allowed us to park our rig in the church parking lot. Where he greeted Kit and I and drove us to his beautiful home a few miles away. Kit and Chris had a great time visiting and swapping stories of growing up in San Diego as well as funny tales of his mom as a teenager. We only spent a few hours with them but thoroughly enjoyed every minute of it. 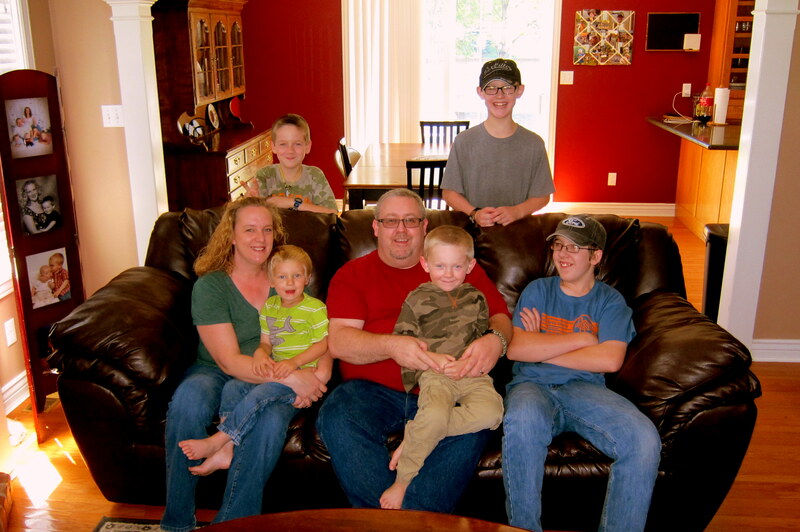 Chris and his wife Jenny are raising five fantastic boys in a loving Christian home. When Chris delivered us back to our rig, I immediately noticed that one of the tires was low…..upon investigating, I discovered the culprit. The tire was only flat on the bottom but trying to move it in that condition would result in a rather harsh ride, so off it came and the spare went on. 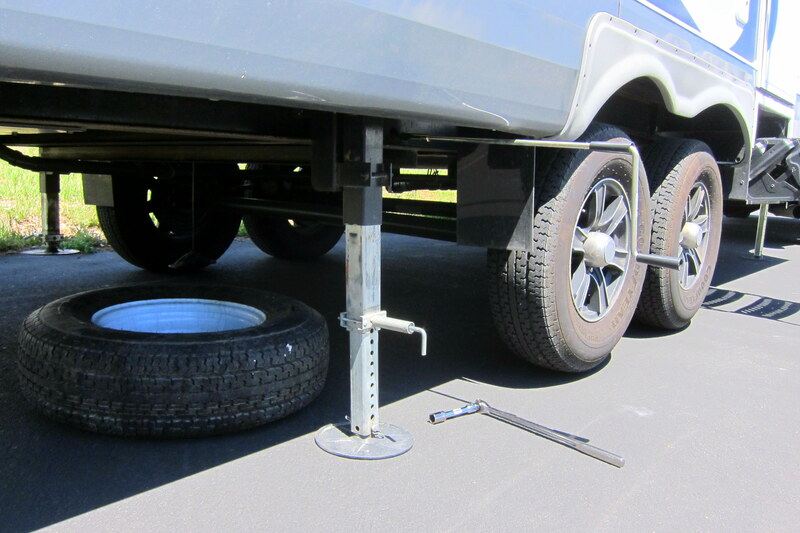 Notice I didn’t use a tire jack…..the onboard levelling jacks are strong enough to lift the entire rig off the ground so I used them to swap out the tire. 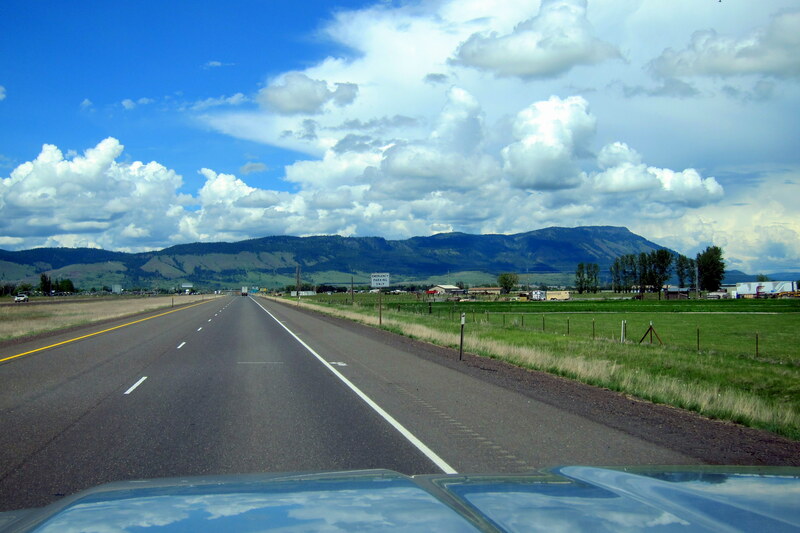 With four round tires on the trailer, we headed out on the open road toward the unknown…..stay tuned! Kit’s Bit’s: All fun stuff we’ve been up to the last few days. However, the very BEST was stopping to see Chris, Jenny and kids! We had heard a lot about them while visiting with JoAnne and Ron; we couldn’t wait to meet them. The kids are home schooled, very well grounded and it was absolutely delightful to meet each and every one of them as well as their parents. A delightful family, for sure! 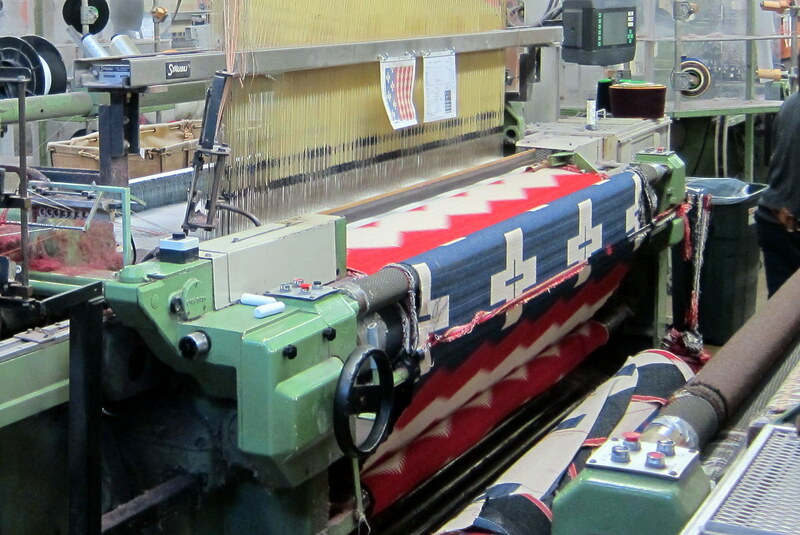 Touring the Pendleton factory has been on my bucket list for many years. As a teen, my parents encouraged me to buy and make wool skirts out of Pendleton fabric. Matching plaids was one of the first things I learned. Of course, wool skirts seemed silly in San Diego, but, in the winter, they were nice and warm. Plus, they went along with the Pendleton shirts the guys were wearing. Our tour of the Arctic Fox factory was extremely interesting. 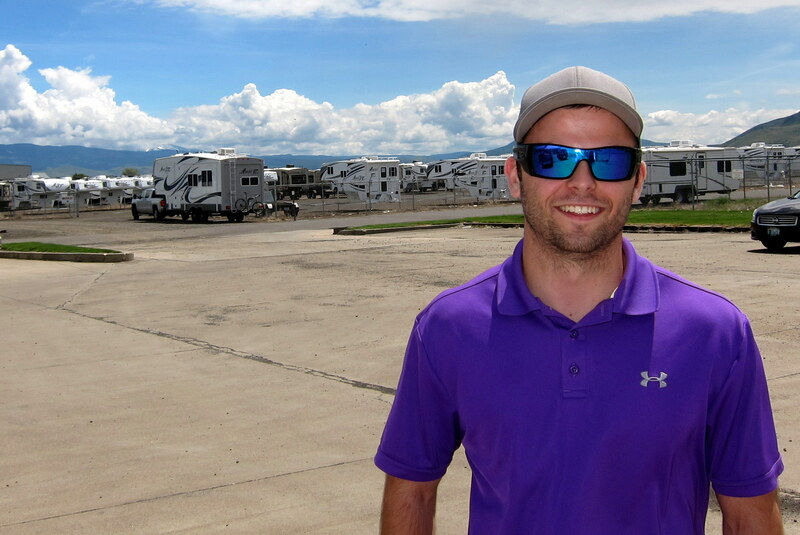 Our tour guide, Colby, was very knowledgeable in the construction of the trailers and also shared a lot of the history of the company with us. We thoroughly enjoyed our tour of the plant. Touring the Oregon Trail Museum was very interesting. The early pioneers were a hardy lot to attempt these journeys. Someday, it would be fun to do “The Oregon Trail” and learn much more about it. They had some rough terrain to traverse, never mind the health and safety issues they faced. Thank you very much for the nice comment and congratulations to Bob on his second retirement…..gotta love being a triple dipper!! OBTW, I too retired from the U.S. Navty in 1987. Thanks! Hope to see you folks again on one of our future trips. 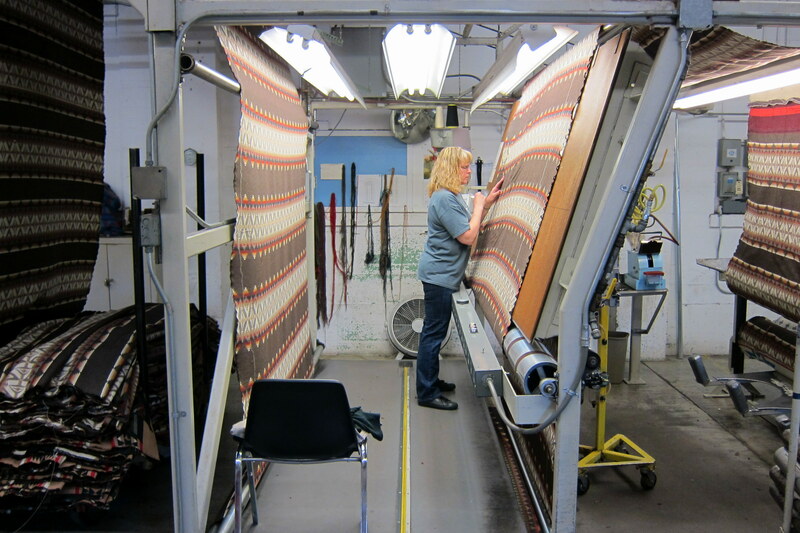 Very interesting about the Pendleton factory—quite a production! The outdoor scenery was great—-you have been fortunate not to encounter much bad weather on this journey. Thanks for the comment…..we really enjoyed all the factory tours we took. 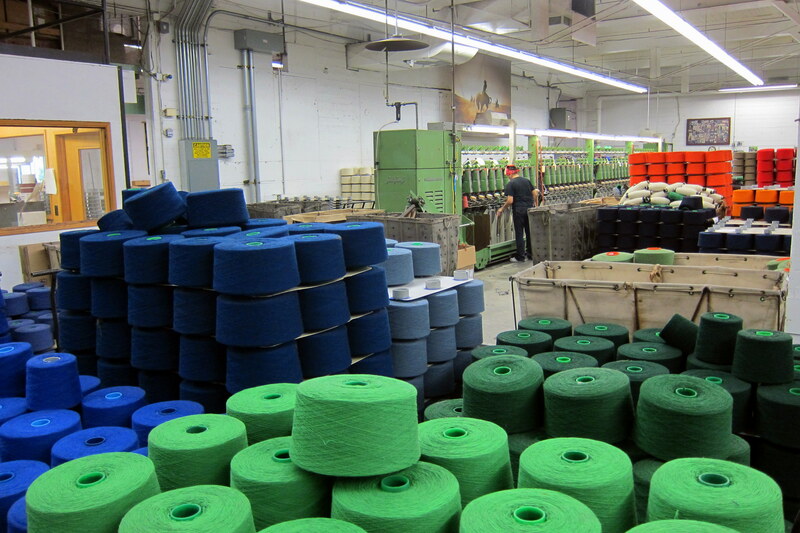 Amazing the work that goes into making quality American products! 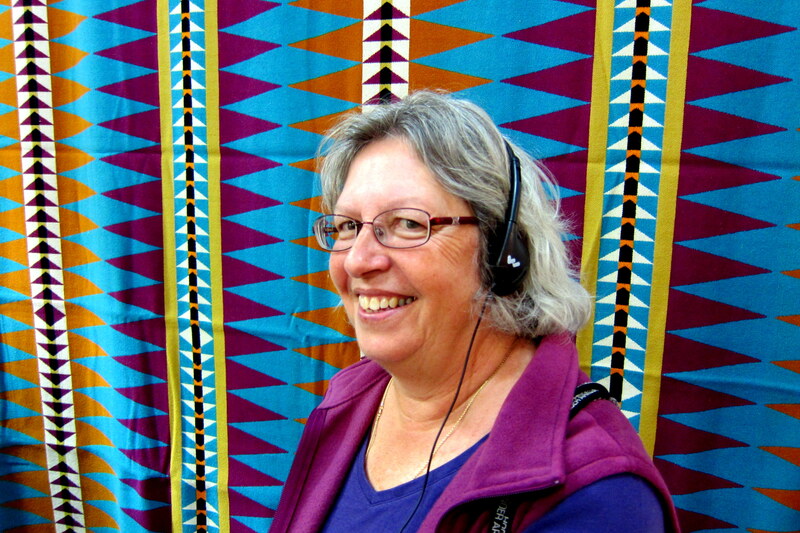 Especially enjoyed the Pendleton tour as I, too, did a lot of sewing with their plaids as a teenager. 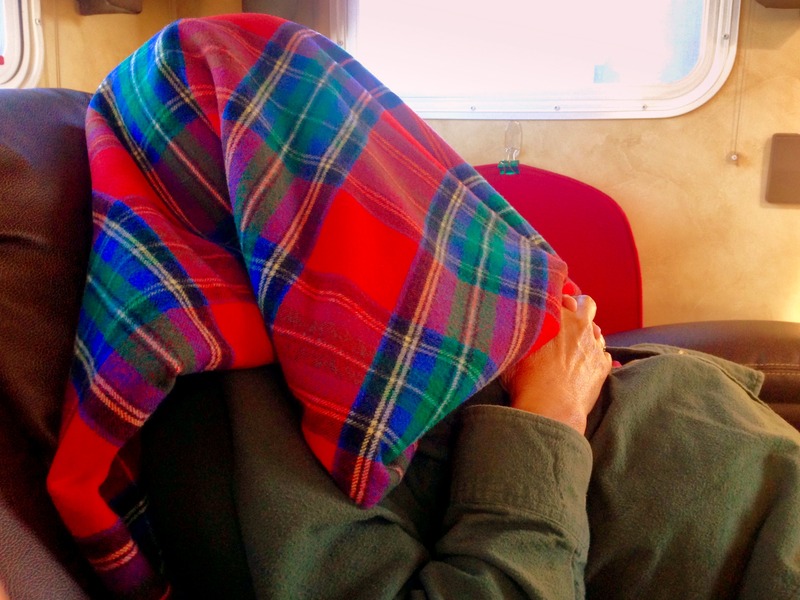 Was that a Pendleton blanket you were wrapped in, Kit? The storm pictures are fantastic! That was indeed a Pendleton blanket, one of two that we picked up at the factory store. 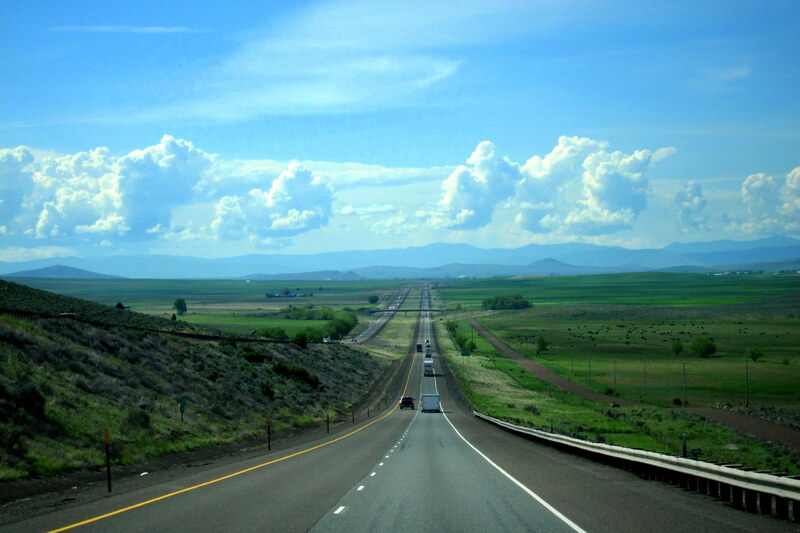 We love Oregon and want to return and explore more of the state…..and too visit with you fine folks! I loved those tours you took. Very informative. Who knew? The Beach Boys and Pendletons! 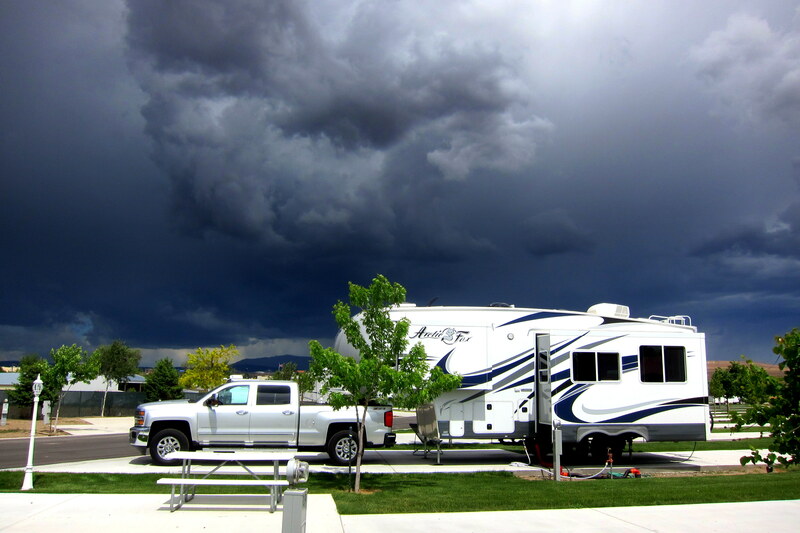 The pic of that storm in the RV park was very impressive and wow you were outside taking a picture….what dedication! 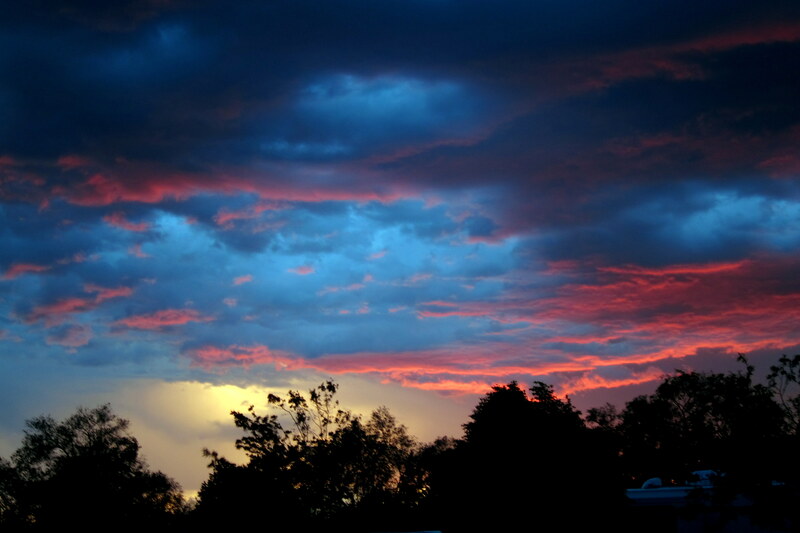 The storm was a ways to the north…..photography frequently compresses distance. Still, it was pretty intense! Loved your tour of the Pendleton Woolen Mills and the resultant burka! You guys must be almost home by now! Question, do the rvS come with a full size spare tire??? I recall that when you got a tear in the roof back a while ago, the patch was made with a flexible piece of fabric. How would this stand up to a large hail stones??? know you’re back here now so will look forward to having lunch one of these days. 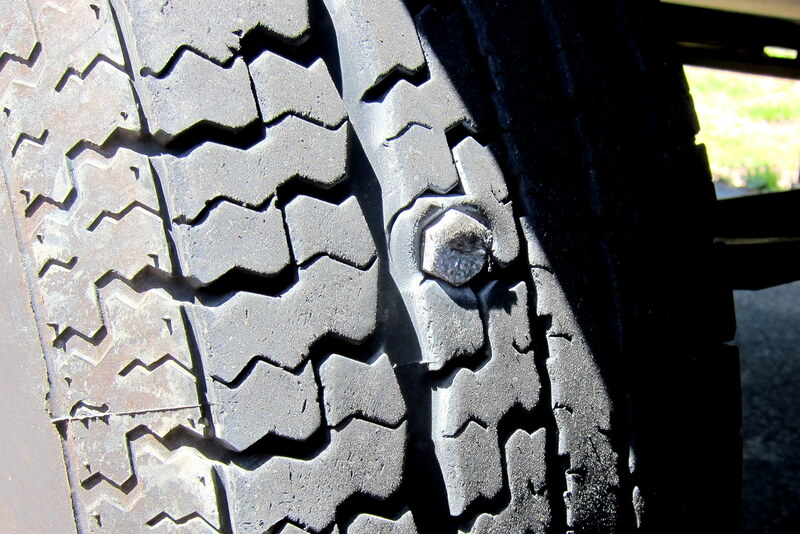 Yes they do….in fact the spare is currently on the RV and has been for the last 2,000 miles. Regarding the roof repair, the roof itself is as strong as every…..it was just the waterproof covering (think shingles) that tore.